*For product recommendations and technical, application and heat curing information contact Advanced Polymer Coatings' customer service. Contact +01 440-937-6218. ChemLINE® is generally recognized as safe (GRAS) for food grade cargoes. Majority of cross links are through Ether (C-O-C) bonds. Ether bonds are one of the strongest bonds in chemistry. Ether bonds give flexibility with chemical resistance. For more than a decade ChemLINE® coatings have withstood the tremendous stresses and extremes of chemical attack and abrasive wear. ChemLINE® has been proven worldwide under the most arduous operating conditions, from resisting the most aggressive chemicals to handling hot pipelines in sub-freezing temperatures, with a history of success. 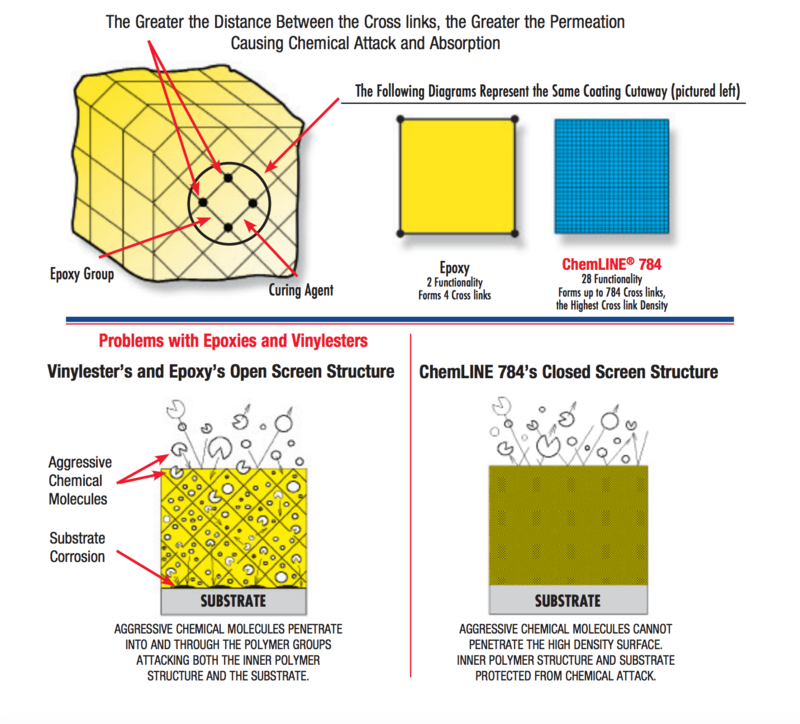 Based on this experience, the development of ChemLINE® 784 represents a quantum leap in chemical resistant polymer coatings.